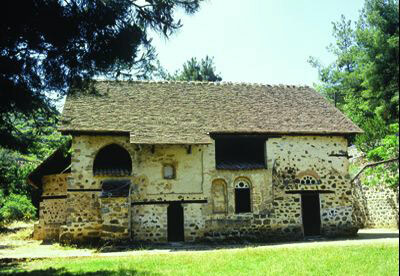 You may visit the Byzantine church of “Agios Nicolaos tis Stegis”5 km distance to the north of Kakopetria. The church is completely painted with murals dating from the 11th to the 17th century and is considered one of the most interesting Byzantine churches of the island and is included in the official UNESCO list of the World Heritage. You can go further and admire the 16th century “Panagia Theotokos” and “Agios Georgios Perachoritis” churches or visit the 3 small Byzantine churches at the nearby village of Galata which like Kakopetria preserves much of its traditional folk architectural character. The churches of “Panayia tis Podithou” which is in the UNESCO list of World Heritage, “Agios Sozomenos” and “Agia Paraskevi” were built in the early 16th century and feature a complete series of Byzantine frescoes. An interesting site and an example of rural architecture to visit at the frontier-point of Galata – Kaliana village is the “Chani Kalianon”, the Old Mill which has been restored. Another exciting site worth visiting is the Medieval Bridges of Elia, Kelefos and Roudia which were built in the 16th-17th century in Fini and Pera Vasa village. 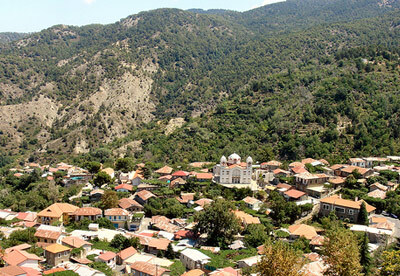 You can also visit the village of Kalopanayiotis and Pedhoulas – the cherry village with the religious heritage, both 20-25 km from Troodos; Arsos village and Lania village – the painters’ paradise; And of course if it is winter, you should visit the Troodos skiing centre. Wine lovers may also be interested in visiting the villages of Omodos and Kilani or even Kyperounta to see the old and new wineries and even taste the perfect Cypriot wines the Koumandaria liqueur and purchase Cypriot delicacies.of Soli.